It’s the January Effect at the gym – – “Gympocalypse” as someone has described it, and I love the word–which means it’s the perfect time to remind beginners and old timers, as well, that form matters. To categorize it simply, your form of movement is either helping you or hurting you. 1. Proper form and a full and safe range of motion produce maximum results. 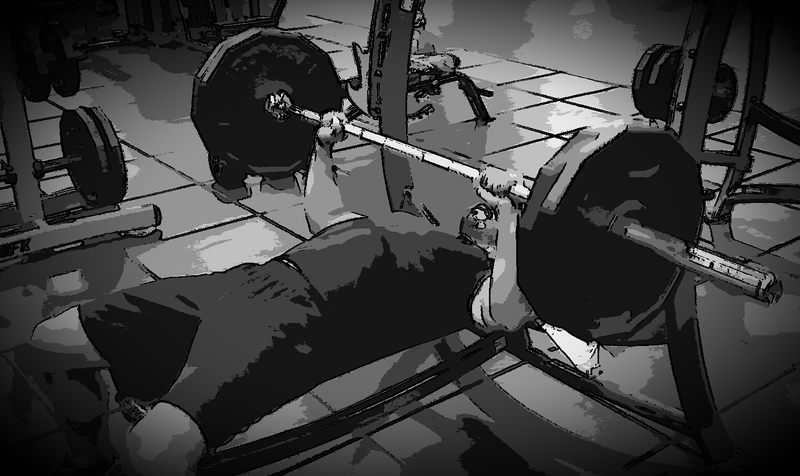 Let’s talk about the ever popular barbell curl. Watch how many times guys load up the bar and turn it into a back exercise to handle more weight by jerking backwards. Many will perform a partial range of motion for the same reason. Hint: If you extend the arms all the way down, you can probably skip the set of preacher-bench curls. Proper form is more difficult to do… but isn’t that why you’re there? Isn’t that what your goal is… maximum workout per time spent? 2. Proper form means a safer workout. This is a particularly important point for my Senior fitness friends. Whether you’re new to training or not, aging brings a heightened respect for the possibilities and consequences of injury. But don’t think, at any age, that sloppy movements can’t injure you… especially if you’re handling too much weight. This is the primary culprit. Give yourself the time you need to grow, and respect your body’s signals along the way. 3. Proper form takes discipline and effort to learn. Although it appears a simple matter to pick up weights and move them around, those of you who train understand that even a slight change in grip can change the dynamic of the effect. As in any sport, you need to be a student, first and always. There are many details such as a grip change, elbow orientation on a triceps exercise, or angle of the feet on a squat, that won’t be a part of what you notice when you first step into the gym, but you need to learn about such things. How you learn them is up to you, but be sure to set your ego aside when necessary so that you can move forward faster. You Already Train Hard; Keep It Safe, Too! Steven – Excellent reminder! I’ve found that “proper form” is especially critical when using kettlebells. Kettlebells – due to their ballistic nature-of-use (swings and snatches, particularly) – exert forces WAY out of proportion to their listed weights when being used. Total concentration, a tightened core, “taming the arc” and correct body-position and shoulder-packing are an absolute MUST to prevent injury. Just thought I’d throw that into the mix. At 63, I had to learn it the hard way (set me back 2 months with a shoulder injury). No doubt swinging the bells increases the force dramatically, making correct form imperative. Congratulations on a powerful training regimen. I prefer my slow and steady weights and dumbbells for muscle and bones; and Shotokan katas for flexibility and range of motion training. For prevent from disease we just need proper maintained of diet. All above tips are helpful for me. Thanks for your feedback! Very good advice. Thanks for this post.It is really very much interesting topic and also nicely written.